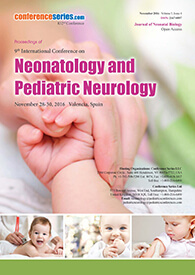 Neonatology is a one of the sub-department of pediatrics that consists of the special medical care of newborn infants, especially the ill newborn. An incubator is machinery used to maintain environmental conditions suitable for a neonate. It is main hospital-based specialty, and is usually experienced in neonatal intensive care units (NICUs). Perinatology refers to the specialized care of pregnant women and their newborn babies. Perinatologist provides special care for high-risk pregnancies and is experts in a wide variety of complex maternal-fetal conditions. Since the perinatal period starts at the 20th to 28th week of gestation and ends 1 to 4 weeks after birth. A perinatologist logically could be a pediatrician or obstetrician but, in practice, a perinatologist is an obstetrician. 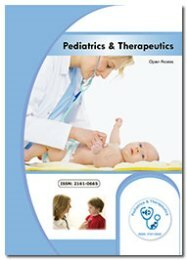 The comparable area of pediatrics is neonatology. A high-risk newborn baby might be cared for by a perinatologist before birth and by a neonatologist after birth. Fetal and perinatal pathology is taken to include embryonic, fetal, perinatal and neonatal pathology. 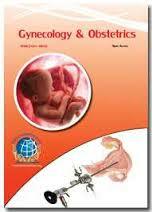 It is an examination or clinical investigations of mid-trimester abortuses and for placenta. It’s recommended that placentas be examined from all stillbirths, multiple pregnancies, low birth weight and small-for-gestational age babies and abnormal pregnancies. Immune hydrops is generally diagnosed antenatally and the autopsy commonly provides confirmation and documentation of the extent of cardiovascular compromise. In cases of unexplained non-immune hydrops, significant structural abnormalities have usually been excluded by tertiary referral ultrasound examination and in this setting the role of the autopsy is primarily to identify undetected abnormalities, such as congenital cardiac disease, and, more commonly, to facilitate ancillary investigations for the detection of underlying pathologies which are non-detectable sonographically, such as inherited metabolic disorders and a wide range of genetic syndromes. Human fetal development during the fetal period (weeks 9 to 37) following fertilization. The long fetal period (embryonic period) is a time of extensive growth in mass and size as well as ongoing differentiation of organ systems established in the time of embryonic period. Clinically this time of period is generally defined as the Second Trimester and Third Trimester. Generally many of the critical measurements of growth are now carried out by ultrasound and this period ends at birth. The embryonic period grow and differentiate further during the fetal period and do so at different times. And also consider the systems (respiratory, cardiac, and neural) that will still not have their final organization and function determined until after birth. Now recent trend is non-invasive technique in fetal diagnosis and therapy, to promote the progress of perinatal medicine without damaging the fetus. Generally Amniocentesis are used to collect the amniotic fluid for the diagnosis of physical and chemical properties of the fluid will be replaced by ultrasonic tissue characterization, and non-invasive diagnosis is also useful for the repeated tests. Furthermore, genetic fetal diagnosis is performed by the test of maternal peripheral blood in NIPT, instead of the amniocentesis. And Non-invasive fetal therapy was a dream in the past, and it is real at present by the HIFU technology. Far from being a passive organ, the placenta plays a critical role in orchestrating the sequence and intensity of a series of complex maternal–fetal interactions. In essence, the placenta is of dual origin, comprised of both fetally- and maternally derived cells. The decidua, often referred to as the maternal compartment, forms the most superficial layer surrounding the placenta and is densely packed with maternal immune cells. Below this, a layer of fetally derived trophoblast cells secretes hormones and endocrine factors that support both fetal and maternal health. Lastly, maternal bloods, descending from decidual spiral arteries, and fetal blood, rising through the umbilical arteries, converge in the villous spaces of what is known as the labyrinth layer, in mice, or the chorionic villi, in humans. Here, maternal and fetal blood flow countercurrently and are separated by two layers of fetal trophoblast cells, the syncytiotrophoblasts and the so-called mononuclear trophoblasts, in mice, or villous cytotrophoblasts, in humans. A high-risk pregnancy is one that threatens the life of the mother and her fetus. Some pregnancies become more high risk as they progress, while women’s are at increased risk for complications even before they get pregnant for a some variety of reasons. Early and regular prenatal care can helps many women have healthy pregnancies and deliveries without complications. Many Risk factors for a high-risk pregnancy can include: Existing health conditions, such as diabetes, high blood pressure, or being HIV-positive1, Obesity and overweight. Obesity increases the risk for high blood pressure, preeclampsia, gestational diabetes, stillbirth, neural tube defects, and caesarean delivery. Multiple births such are much more common today than they were in the past. There are many multiple births today in part because more women are taking infertility treatment, which carries a risk of multiple pregnancies. However, according to current research Guidelines Number of Embryos are Transferred, and the number of treatment-related pregnancies with triplets or more has decreased dramatically. And also, most of the women’s are waiting until later in life to attempt pregnancy, and older women are more likely than younger women to get pregnant with multiples, especially with fertility treatment. Although major medical advances have improved the advanced techniques of multiple births, and associated significant medical risks and complications of the mother and children. Caesarean section can be a lifesaving procedure in some circumstances. Other advantages of a planned caesarean section compared with a spontaneous vaginal birth include reduced risk of labour-related morbidities for the baby and reduced risk of vaginal injuries for the mother. It is also associated with a reduced long-term risk of pelvic floor disorders, such as stress incontinence and pelvic organ prolapse although pregnancy itself is a risk factor for these and caesarean section may not protect against them. The most common reason for a caesarean section is a previous caesarean section. Planned caesarean sections are also performed because of risks from vaginal birth to the mother or the baby, or because the mother requests one (that is, for non-medical purposes). Breast milk contains neurotrophins (molecules that promote nerve cell growth, function and survival) that will helps to baby growth. Endometriosis and adenomyosis are characterized by the presence of ectopic endometrium, but also associated with the functional and structural changes in the eutopic endometrium and inner myometrium. Alterations in the inner myometrium occurring in women with adenomyosis and endometriosis may be at the root of a defective remodeling of the myometrial spiral arteries from the onset of decidualization and increased risk of defective deep placentation. The major association of obstetrical syndromes are different types of defective remodelling of the myometrial spiral arteries has been well documented.